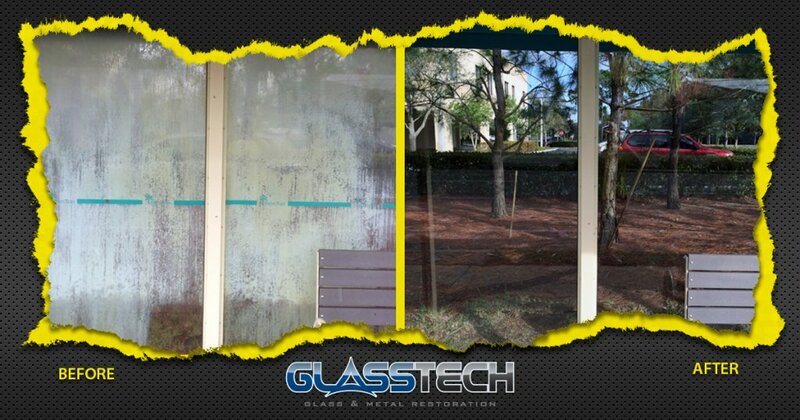 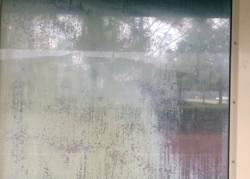 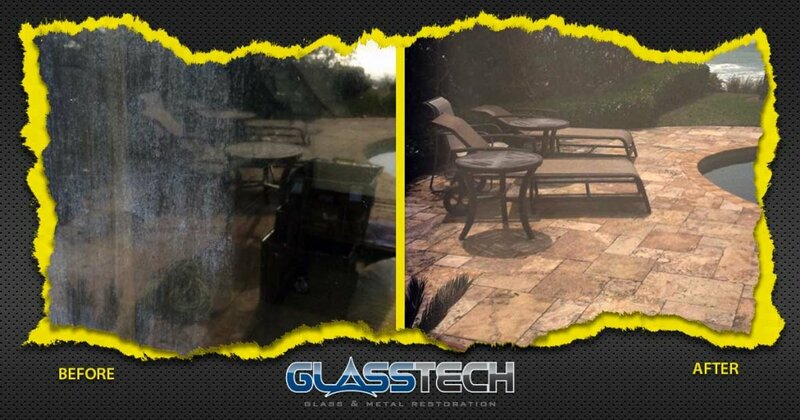 GlassTech specializes in removing hard water spotting and staining from glass. 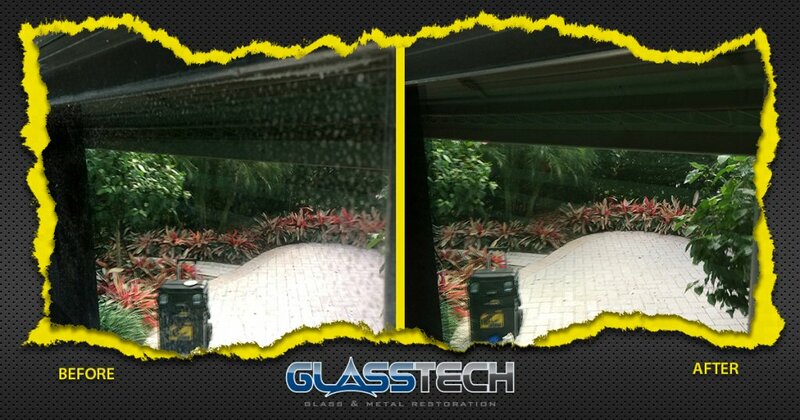 Minerals deposits can leave unsightly spots and streaks, which if not promptly removed can permantely etch surfaces. 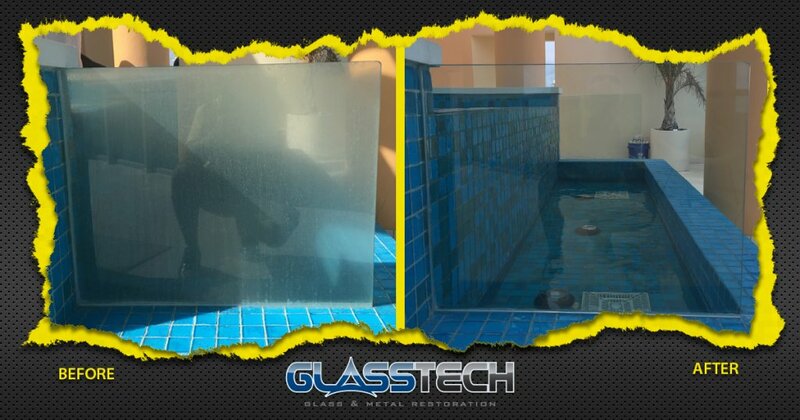 Using our proprietary glass restoration process, we’re able to remove hard water spotting, staining and etching leaving your glass clear and spot free. 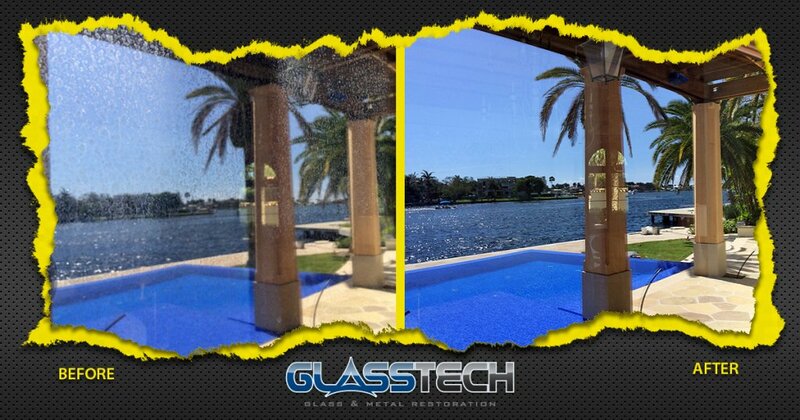 Once the surface is completely restored, our Nanotect hydrophobic coating can be applied protecting the glass from salt spray or minerals adhering to treated surfaces.